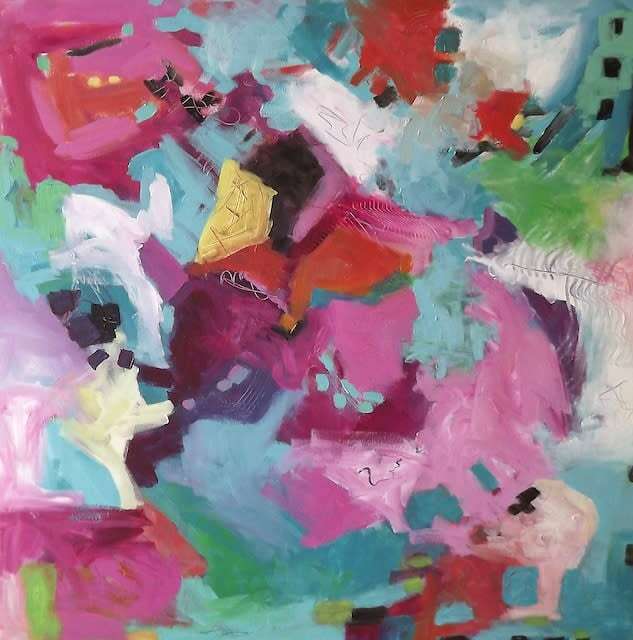 I had a blast painting this vibrant and colorful abstract series in a visit to my daughter's in the Atlanta area. It was so wonderful having several days without my phone ringing or beeping with texts. I think I need to leave town more often. ;-) This is the first and largest in the series, all in the same color palette. My daughter picked the teal and magenta colors which are both our favorites. I named it Fiesta because all the bright and fun colors reminded me of fiestas I attended during my time in New Mexico. This is on a 1.5" deep gallery wrap canvas with the edges painted white. It is wired and ready to hang. Free shipping!